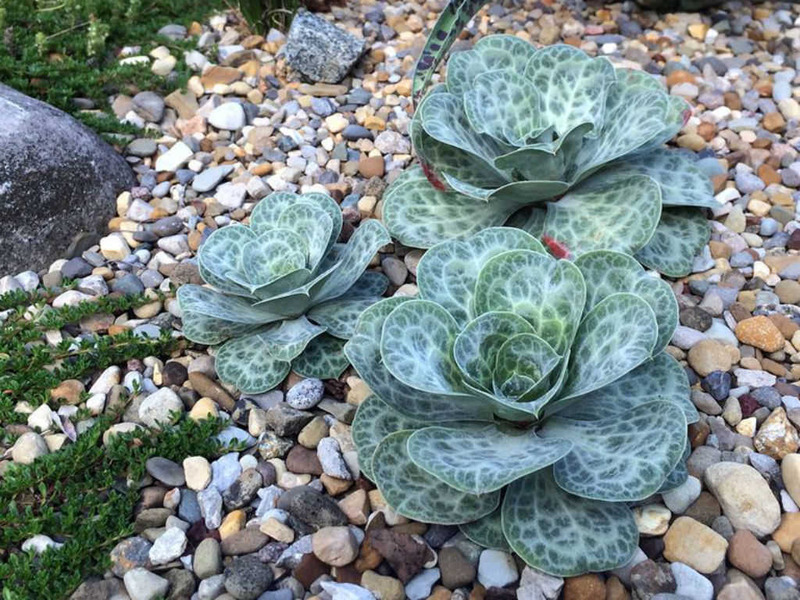 Bukiniczia cabulica is a biennial plant that forms a basal rosette up to 8 inches (20 cm) in diameter, of heart-shaped, bluish-green leaves with intricate, creamy white veins. 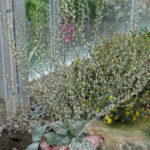 In its second summer, it produces architecturally appealing, multi-branching, up to 14 inches (35 cm) tall flower stalks with inconspicuous, pink flowers. USDA hardiness zone 5a to 9b: from −15 °F (−26.1 °C) to 30 °F (−1.1 °C). 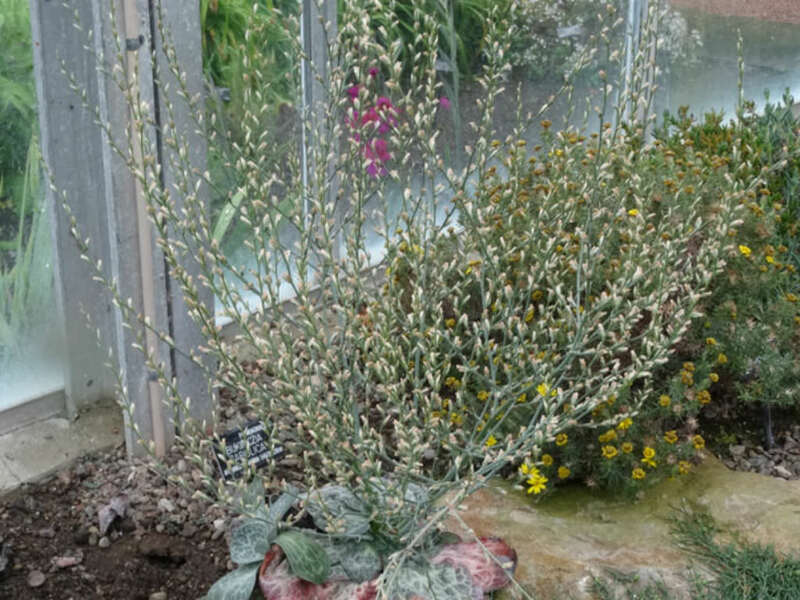 This rare and quite astonishing, totally frost-hardy foliage plant is the sole species in the monotypic genus Bukiniczia and is native to the mountains of Pakistan and Afghanistan where it grows at up to 9,850 feet (3,000 m). Bukiniczia cabulica is monocarpic, but reseeds reliably for future generations. It may also multiply by forming offsets if it is not allowed to complete its sexual reproduction cycle. 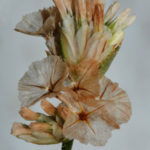 The flowers should be cut off as soon as the scape begins to elongate or better still gouged out from the center of the rosette as while still just a meristem to encourage offsetting. 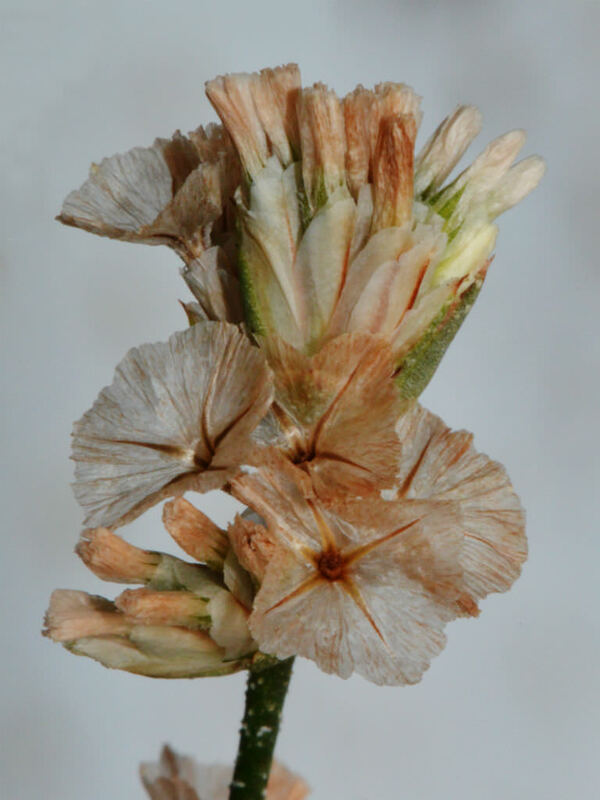 Rosettes that flower before offsetting are dead. Seeds can be sown at any time but are best sown in winter or early spring to benefit from a cold spell in the wet compost to break their dormancy. 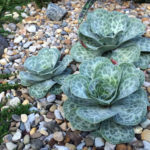 The species is also offered in the trade under the name Dictyolimon macrorrhabdos but that name properly belongs to a different species in the Plumbaginaceae. 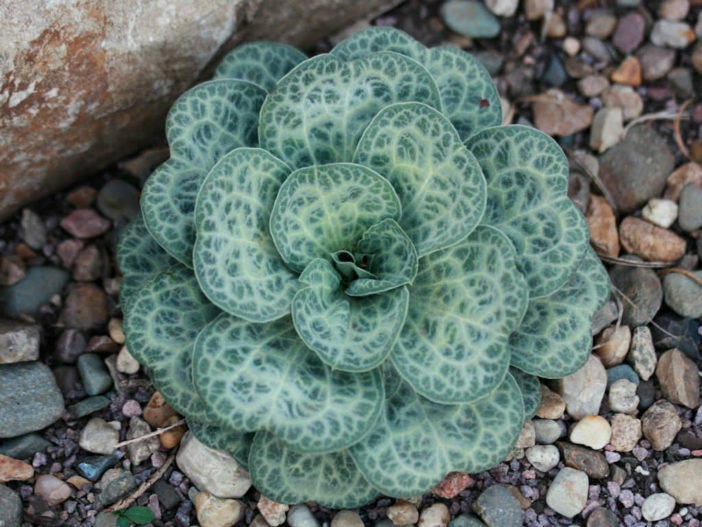 Bukiniczia cabulica would make a good companion plant in a cold hardy cactus and succulent garden or a rock garden as it is well adapted to growing under the same conditions as most succulent plants. Native to Pakistan and Afghanistan.